I LOVE this pinball game. Love it. And it’s fantasy themed so i figured it would count for a FOTD topic. And since it’s video game related i’m sharing with our friends over at TAY this morning. 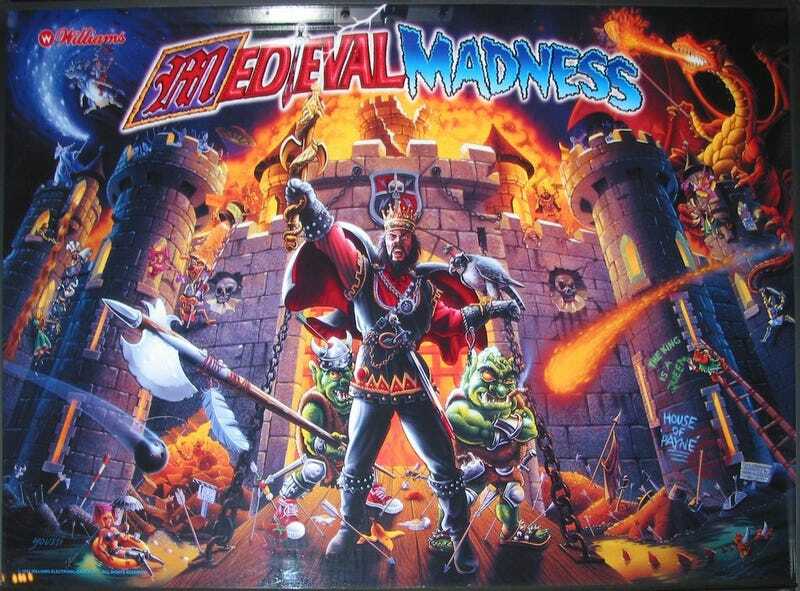 Did you know that Tina Fey, star of SNL and 30 Rock did voice work for the Medevil Madness pinball game? So we start at a place that’s very tilted and has a lot of balls. Tina Fey and Andrea Farrell provided the voices of the various princesses (one of which has a “valley girl” accent), while Greg Freres provided the voices of the jousting announcer and one of the trolls, and Vince Pontarelli provided the voices of Francois Du Grimm and the other troll. The rest of the male voices, including the various knights and the Wizard were provided by Scott Adsit and Kevin Dorff. In a 2008 Vanity Fair article, Tina Fey talked about using a Elly May Clampett voice for a pinball game voiceover. Kotaku reported the story. Did she ever use the Sarah Palin voice to entice her own First Dude? If we look at the Internet Pinball Machine Database entry for Medevil Madness, it states that Tina Fey did the voice for the “Opera Singer” princess and the “Cockney” princess. Well that’s all she wrote my friends. I will say again, I love this machine and would love to have one. Anyone got a few grand I can borrow.......Bueller?......ok guess not. Well i’ll just keep putting my coins in the piggy bank, and I will see you on the next Fact Of The Day.